Thorpe Lea Dental believe that high quality, caring dentistry should be inclusive and that fear should not be a barrier to accessing our fantastic range of dental treatments. We’ve invested in the best equipment and training, allowing you to feel comfortable, at ease and to overcome your fears. Going at your pace, we will take the time to listen to your needs and help you relax. Our calm and soothing practice environment will help you forget any dentistry related anxieties and enjoy your treatment time with us. There is no longer any need to avoid the dentist. We are proud to offer our patients a number of additional features. These special touches make all the difference and go a long way to making your visit as pleasant and stress-free as possible. DVD glasses for watching programmes or films of your choice and a memory foam pillow help patients to relax during longer treatments. Built-in chairside screens help us to explain treatments and show before and after images that truly clarify what can be achieved. Digital x-rays produce higher quality images while using up to 90 percent less radiation than film x-rays. 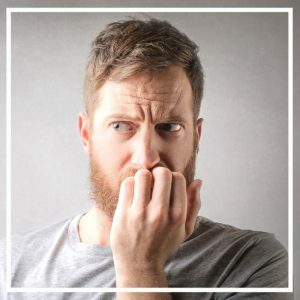 ‘I hadn’t been to the dentist in years, following a really bad experience “in the chair” which sparked an indescribable fear that gripped me for almost thirty years. Even thinking about the dentist petrified me. And then it happened…my tooth cracked. I knew I had to address my fears because the crack was severe. I couldn’t even face contacting a dentist, so my partner searched, on my behalf, for a local dentist specialising in “nervous patients”. Thorpe Lea Dental Surgery was the closest, and were able to see me that afternoon. My partner had explained the situation, so Colin and the team knew that I was extremely scared. I managed to get to the surgery, and was seen straight away – no messing about. I was instantly put at ease by Sarah on reception, and Colin’s gentle manner. He talked to me without judging or lecturing me, and explained things to me step by step. I had to have the tooth repaired and restored, and I can honestly say that it really was a painless experience. Since that day, I have not looked back. In fact, I took the plunge with some cosmetic dentistry too! I have had Invisalign braces to straighten my teeth, whitening gel, and my old fillings removed and replaced with white ones. The change in my perception of dentists has been monumental. I would never have thought that I would be saying that I actually look forward to seeing the hygienist, every three months, let alone going for a check up! My teeth are now straight, white, and most importantly, healthy. The team at Thorpe Lea Surgery have enabled me to laugh and smile with confidence, rather than shame! I cannot recommend them highly enough’. Our dedicated, caring team have years of experience behind them. 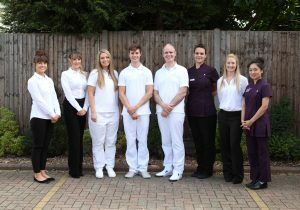 From initial consultation through to your ongoing care, our dentists, dental nurses and reception staff will do their upmost to support you throughout your treatment. We offer a warm, friendly approach, as well as the latest dental solutions that meet your personal and clinical needs.